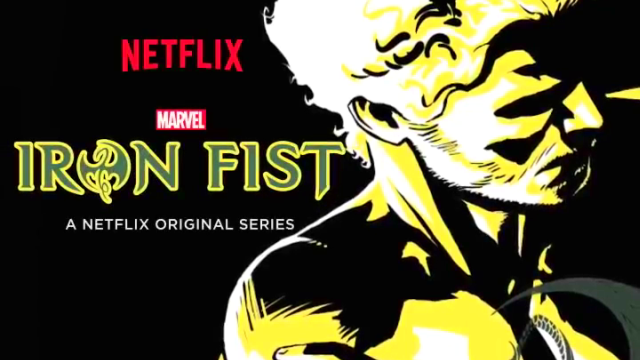 Iron Fist, the fourth and final Defender in Marvel’s Netflix Universe arrives March 17, 2017. For now, the teaser trailer is available to view online. Game of Thrones alum Finn Jones plays Danny Rand who receives an ominous warning through voice over. Rand hears a warning that his conquest has consequences. Plus, forces moving against disguised as friends and random strangers. The narration continues proclaiming that he is a lethal weapon, forged by fire and greatest warrior. Through the paraphrased statement, various shots appear. Danny laid out as a child, meditation shots, moving images of training and combat. The two most fanboy or fangirl moments come from closeups the glowing fist and the infamous Iron Fist tattoo on Jones’ chest. Glimpses of the power of the fist debut high-end destruction and damaged property. The connection to the remaining Defenders series comes in the form of simple and quick tilt up shot of Wai Ching Ho’s Madam Gao from both seasons of Daredevil. The teaser trailer acts as a teaser. No full story line rendered, just random shots to entice expected and prospective viewers on its debut.